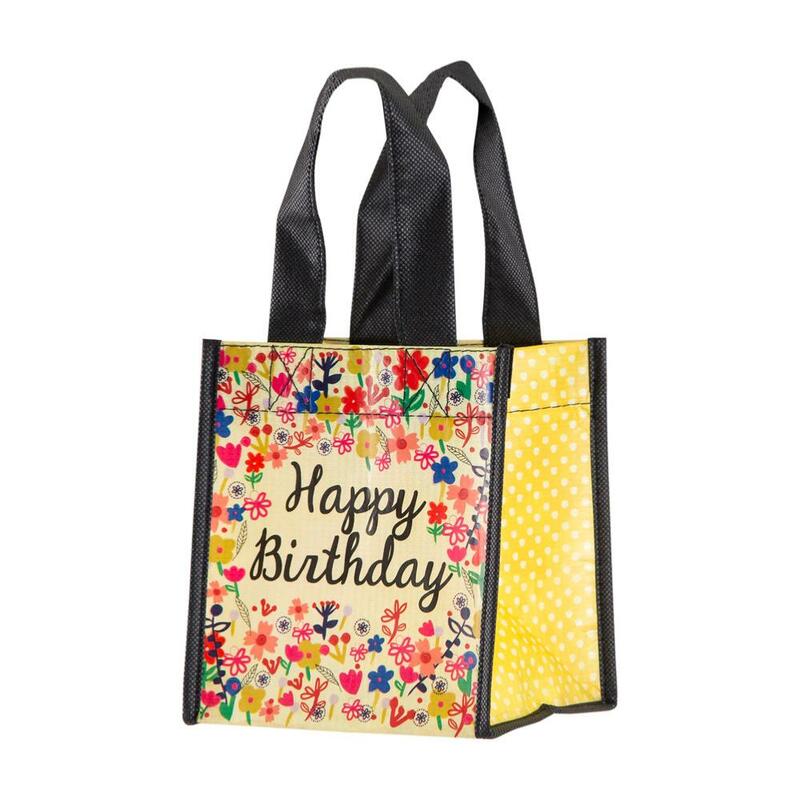 Small gift bag made 80% from waste recycled plastic bottles. Use over and over again, and when it's finally worn out, recycle it. 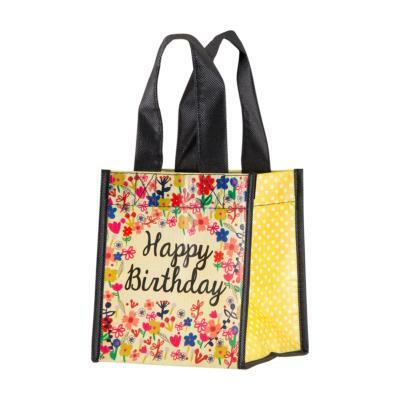 Bright colourful design with "Happy Birthday", same design on both sides.